ST. JONES NECK – In the autumn of 1767, the American Colonies were reeling from a fresh round of taxation without representation handed down by Parliament in London. With their pleas for fair treatment and equal standing ignored by the Crown, the leading men of the fledgling colonial opposition began to turn their thoughts to more direct acts of resistance. But before the Boston Tea Party, before the First Continental Congress, and well before July 4, 1776, the Colonies needed a message to bring them together – a clear text that would lay out their common cause and draw them even closer in unity. Through the winter of 1768, that unifying message took shape in a series of 12 modest letters published in colonial newspapers and signed simply “A Farmer.” The man behind the pseudonym would earn the title of “Penman of the Revolution,” a well-educated lawyer with Quaker beliefs raised on a quiet plantation in Kent County, Delaware: John Dickinson. Dickinson and his “Letters from a Famer in Pennsylvania to the Inhabitants of the British Colonies” (referring to Delaware’s status as a jurisdiction of Pennsylvania at the time) became a sensation across the Colonies and abroad in Britain and France for their simple, eloquent summary of the rights held by the American colonists and the many ways they had been infringed. 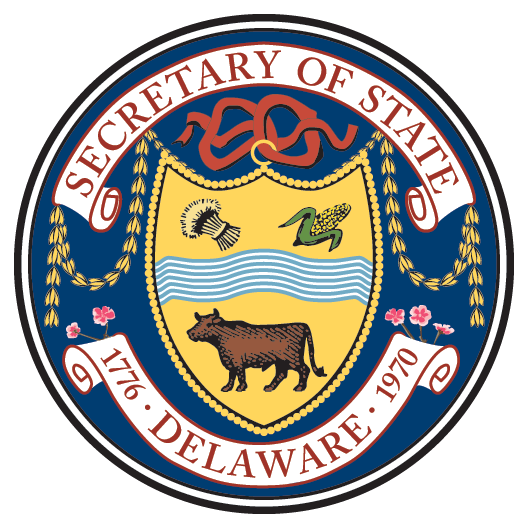 To commemorate the 250th anniversary of the publication of the “Letters” and the role John Dickinson played in setting the stage for the American Revolution, the Delaware Department of State has launched a new website, de.gov/johndickinson, and a slate of special programming to take place over the coming months. The website hosts biographical information about Dickinson and context framing the “Letters” in their historical moment. Assembled in cooperation with the Division of Historical and Cultural Affairs, the site will serve as a hub for activities to celebrate the anniversary. The online calendar of events lists programming taking place now through February in cooperation with the University of Delaware, the Delaware Public Archives, the Friends of the John Dickinson Mansion and others. Programs on the schedule include a dramatic production of “The Great Debate: Thomas Jefferson and John Dickinson” about the political and philosophical differences of the two statesmen. Presented by the American Historical Theater company of Philadelphia, the production will be at the Old State House in Dover on Sunday, Nov. 19. Also on the schedule is a presentation from retired Delaware Supreme Court justice and eminent historian Randy J. Holland on the writings of Dickinson and their significance. Governor John Carney is also slated to participate in a February panel discussion about the legacy of the “Letters” and their impact on American politics through the present. Events at the John Dickinson Plantation will explore how life was lived on a large farm in 18th-century Delaware, including a presentation on the history of the African American inhabitants of the plantation, both free and enslaved, and Dickinson’s complicated relationship with the institution of slavery. The season of programming will conclude in February with a traditional wreath-laying at Dickinson’s gravesite at the Friends Meetinghouse in Wilmington, sponsored by the Quaker Hill Historic Preservation Foundation.